‘FishResp’ calculates metabolic rate of fish and other aquatic organisms measured using an intermittent-flow respirometry approach. The tool is used to run a set of graphical QC tests of raw respirometry data, correct it for background respiration and chamber effect, filter and extract target values of absolute and mass-specific metabolic rate. Experimental design should include background respiration tests and measuring of one or more metabolic rate traits. 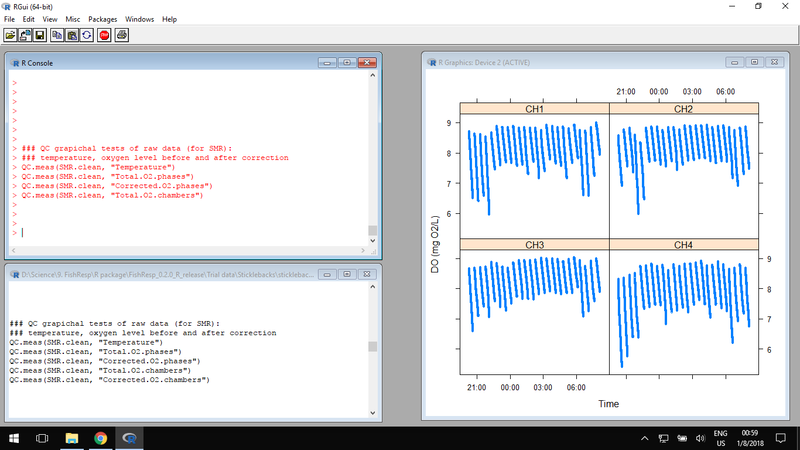 The package allows a user to import raw respirometry data obtained from ‘AquaResp’ (free software), ‘AutoResp’ (‘LoligoSystems’), ‘OxyView’ (‘PreSens’), ‘Pyro Oxygen Logger’ (‘PyroScience’) and ‘Q-box Aqua’ (‘QubitSystems’). Read more about the idea behind the R package in the FASEB journal (conference abstract). The ‘FishResp’ package is available on CRAN and GitHub. To read the reference manual for the R package ‘FishResp’, please click here. 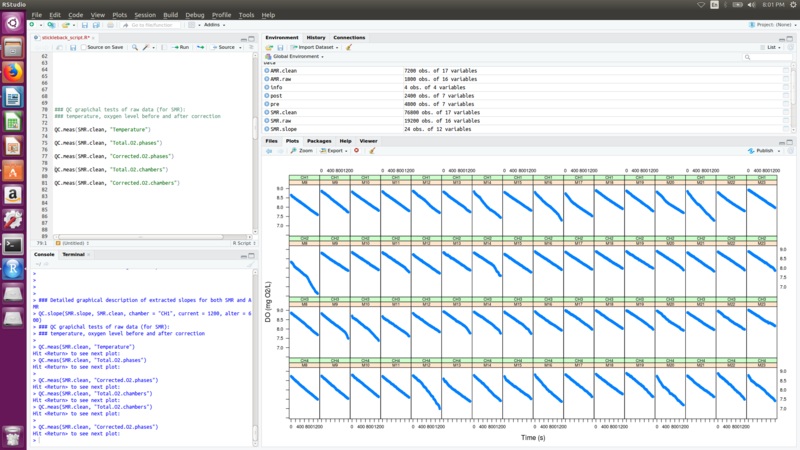 The R package ‘FishResp’ is a cross-platform software. 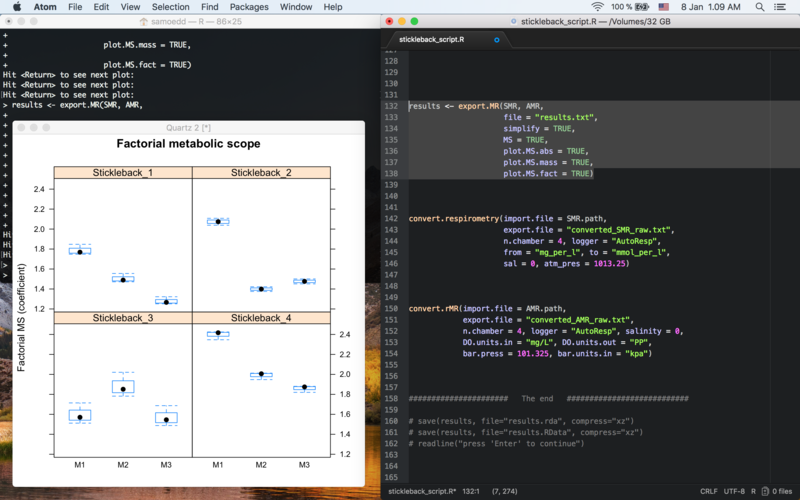 It works fine in RGui and Terminal, but be careful with RStudio: a plot window should be large enough for plotting large graphs (just use a display with resolution more or equal to 1920×1080).